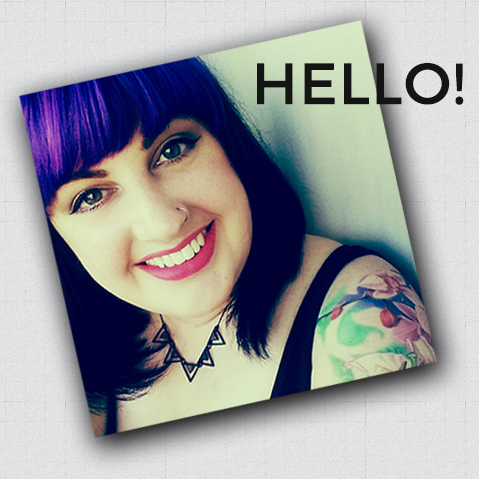 A few weeks ago I was contacted by ghd and asked if I’d like to try out some of their wetline styling products. 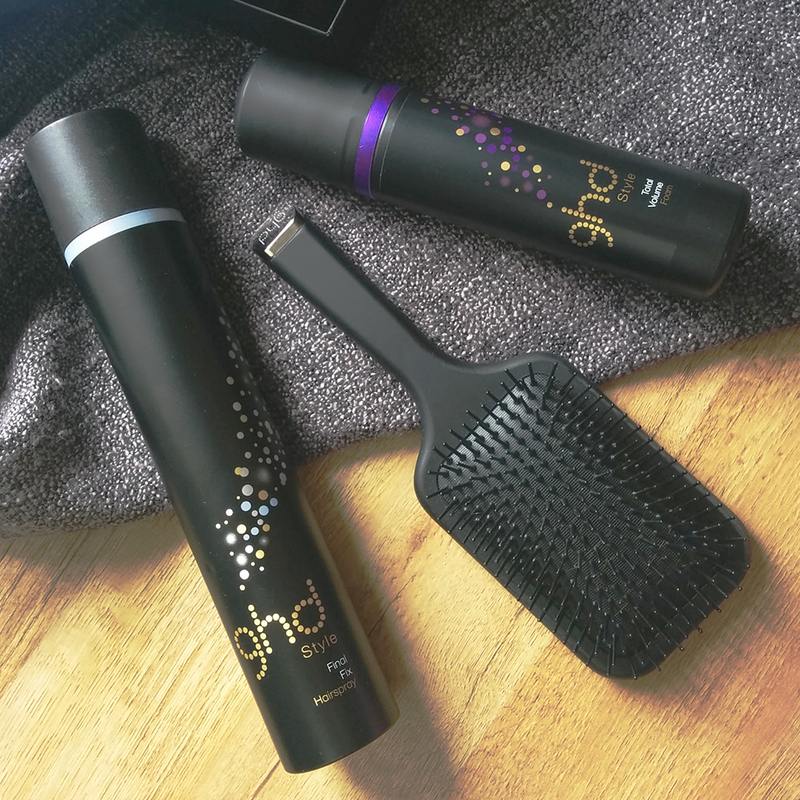 I think you’ll probably agree when I say ghd are best known for their hair straighteners, which could be why I was only vaguely aware of their range of styling products and brushes. Of course, I jumped at the chance to work with them! As I have mentioned before in my how I dye my fringe purple post, my hair is naturally dead straight. I don’t own straighteners, ghd or otherwise, though I’ll admit there are some mornings where I wish I did because I’ve slept wonky and ruined everything! I do blow dry my hair, but that’s about where it ends. The extent of my styling ability is massive poofy crimped goth-do or the occasional bit of twisty vintage approximation. On a day to day basis, a blow dry curling my ends under is the norm and as such, I do have a few staple products in my arsenal. First off, I love volumising products, so I was over the moon to receive the Total Volume Foam (£14.95). I’ve used this product every time I’ve blow dried my hair since I got it, and not only does it really give my hair a lift, but it smells incredible! Honestly, it’s an addictive, expensive perfume kind of vibe with this one. I haven’t tried using this on dry hair yet, but apparently it’s suitable for blow drying into dry hair to give it even more volume. Next time I’m doing a beehive or massive goth hair, I’ll definitely be trying this trick out. Secondly, I absolutely MUST have a good hairspray. Let’s face it, I don’t want the wind leaving me with one of those sad barcode looking fringes. No sir. The Final Fix hairspray (£9.95) from ghd is one of the nicer ones I’ve tried, offering reasonably secure hold yet brushing away easily, and not smelling like horrendous choking chemicals. In fact, there’s hardly any smell to this at all, and when I’ve used it the Total Volume Foam scent has been the one that really lingers. To top it all off, ghd also sent me a big Paddle Brush (£20). I love the study feel of this, and the rubber-ish soft touch finish is really nice. Like the other products, the packaging is really nice, with the brush coming in a sleek display box. I think it would make an excellent gift for someone – especially the pink version on the ghd online store, where £2 is donated to Breast Cancer Now from each sale. Overall I’m really impressed with ghd’s styling products. My absolute favourite of this trio is the Total Volume Foam, as it just fits so well in my normal hair routine. Have you tried any of ghd’s not-straightener products? This post contains a PR sample. For more information see my disclaimer. It’s a beauty! Dan keeps borrowing it though, damn it. These sound great! I’ll have to look into them more! I have the moose & paddle brush and use both constantly, I love GHD products!